The recent acquisition of Mars Drinks by the Italian coffee company Lavazza will not have an impact on any of our Nexus Drinks vending machines and Nexus Drinks coffee machines. We’ve already received dozens of customer enquiries about the Lavazza-Mars Drinks merger, but we can reassure all our clients that our Flavia machines will be stocked as normal and you won’t be impacted in the slightest. How does the merger between Lavazza Group and Mars Drinks impact on our drinks machines? Beverage Daily have some more information about the Lavazza and Mars Drinks acquisition. Get in touch with Nexus Drinks Systems Ltd today to find out more about our superb options for coffee vending in your business outlet. When choosing services for your office or place of business, we’re sure you want to make the best choice for your employees and the earth. Here we wanted to discuss the pros and cons of two of your options in choosing cups – compostable, and recyclable. Which one is better for you and your business, and ultimately the environment? Merriam-Webster defines recyclable as the following – “to make something new again”. Recycling mostly means that another use is found for the product, whether it’s the same as before, or it is broken down and made into something else. Cons: To recycle a paper cup, the plastic coating must be separated from the paper fibre. This process is time-consuming, and take longer than recycling paper alone. Pros: Despite the longer processing time, recyclable cups are more commonly used, and it is much easier to incorporate a recycling routine into your workplace, and waste management system. 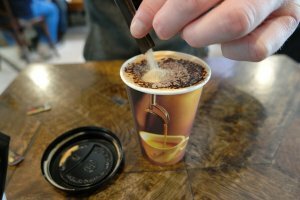 Plus, work done by the PCRRG has shown that separating the plastic coating is no longer considered as a barrier to recycling these types of cups. Actually having the opposite meaning of recyclable, compostable means that rather than being reused, a product is made with the ability to “break down”. So, once it has been used the product is discarded in the compost heap, where it requires certain catalysts to break down, and may take up to 12 weeks to do so. Cons: Compostable waste needs to be managed alongside a dominant food waste stream, which can be a problem if you don’t already have one in place. It must then be segregated alongside the stream and sent to a commercial composting facility, of which there are only 50 in the UK. Restrictions for such waste are also detailed and strict. Pros: It’s considered to be more environmentally sound that recycling, which does produce by-products, and some waste. All will depend on your personal circumstances, and the set up already in place at your workplace. We have some useful points of discussion here if you still can’t decide. The increased costs of using compostable products may mean that it is not a viable option for you, in which case using recyclable products will still have a huge positive effect on the environment. Nexus Drinks has some excellent options for your workplace. Read more about our ethics, or simply get in touch now for more information. Coffee Vs Tea – Why Choose? August 22, 2018 by Nexus Drinks·Comments Off on Coffee Vs Tea – Why Choose? No two days are ever the same so why should employees have to decide what they feel like drinking on any given morning or afternoon? The age-old coffee vs tea argument might have gained traction at offices in the past but nowadays people want choice. With modern office vending machines for your workplace, they can have just that. Today’s office vending machines carry a wide variety of drinks so no office worker will ever feel left out in the break room. For example, the Flavia Creation 500l boasts an impressive 12 types of coffee and multiple real-leaf teas along with hot chocolate. This one vending machine can keep all of your employees happy when it comes to hot drinks. Those that enjoy a coffee will love the rich notes that are presented here and will have as much variety as they would at a hip cafe, being able to choose from an espresso, cappuccino, americano, or latte among others. If it’s time for a tea break, there are also plenty of options. Decide between classic, herbal and decaf — all brewed with real tea leaves. Alternatively, chocoholics can indulge in a delicious cup of hot chocolate any time of the day. Why Get An Office Vending Machine? A hot drink is a simple thing that brings a little bit of joy to office workers all over the country. Providing hot drinks free of charge in the workplace, through office vending machines that provide a large assortment of choice, creates even more happiness. No matter what mood office workers are in, they’ll find a caffeinated hot drink in this workplace vending machine to put some pep in their step or a comforting mug of something to relax with while on a break. 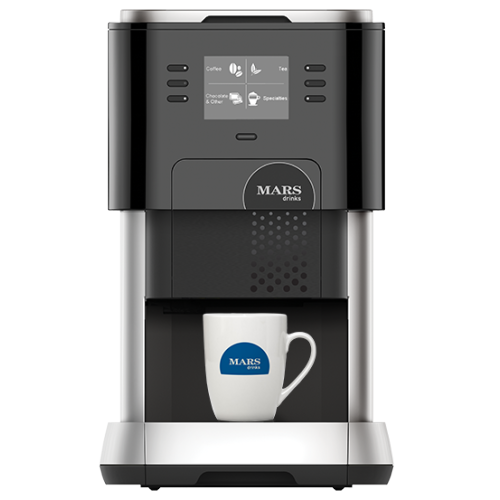 It’s easy to use, produces hot drinks quickly and is a modern piece of machinery that looks great in any office breakroom. Nexus Drinks Systems Limited is a market leader with 25 years of experience in providing offices all over the UK with the best vending machines for your workplace. Check out the website today to view the office vending machines available to you and get in touch get in touch for a quote. More and more businesses across the UK are embracing the idea of the ‘breakout area’. A space where employees can shift gear, relax, and unwind as necessary, breakout areas build on the idea of the breakroom. They create a comfortable space, whether with or without walls around it, which team members can go to when they need to ‘break out’ of the standard working mentality. Why are Breakout Areas Popular? Because they represent a space that isn’t like the typical work desk, people think differently through them. You’ll hear a lot of laughter and see your team really open up in their body language. But you’ll also hear a lot of chatter about work. It’s this altered headspace, with the feeling that usual working expectations don’t quite apply, that’s so useful. After all, that’s when people ‘think outside the box’. You’d be surprised at the problems that can be solved when people are chatting casually, not focusing on fixing them. Adding a coffee machine to your breakout area is sure to improve the atmosphere and energise your team. By delivering great bean-to-cup coffee or aromatic drinks from Britain’s favourite brands, you give your team incentive to breakout. You also fuel that creativity. A half hour in the breakout area can produce ideas that might not come for days of focused trying elsewhere, so making it a place where employees want to be can really help. 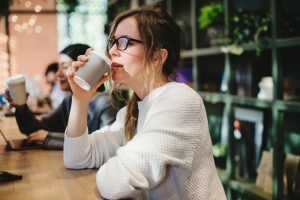 We’ve put together a guide that uses our quarter-century of experience in the refreshments industry to help you choose the perfect coffee machine for your place of work. Don’t forget, though, that you can always also just ask us. We’re always happy to talk to any customer and we want you to be completely satisfied with your order. What’s the Best Replacement for Kenco Singles? February 28, 2018 by Nexus Drinks·Comments Off on What’s the Best Replacement for Kenco Singles? There’s no denying the love that many of our long-term customers have had for Kenco Singles machines. And with good reason! Kenco Singles machines provide workplaces with great-tasting coffee and other drinks reliably and without mess. That on its own would be enough for offices up and down the UK, but it’s not all. These coffees, teas and more were made by some of Britain’s best-loved brands. Losing out on your favourite brands of tea and coffee can be a wrench. We’ve spoken to many customers who wanted to keep their Kenco Singles machine running for as long as possible, and we’ve helped where we can. We’ve also been helping other workplaces to make the switch. That’s why, as the last supplies of Kenco Singles capsules finally run out, we feel confident that we can offer good advice. 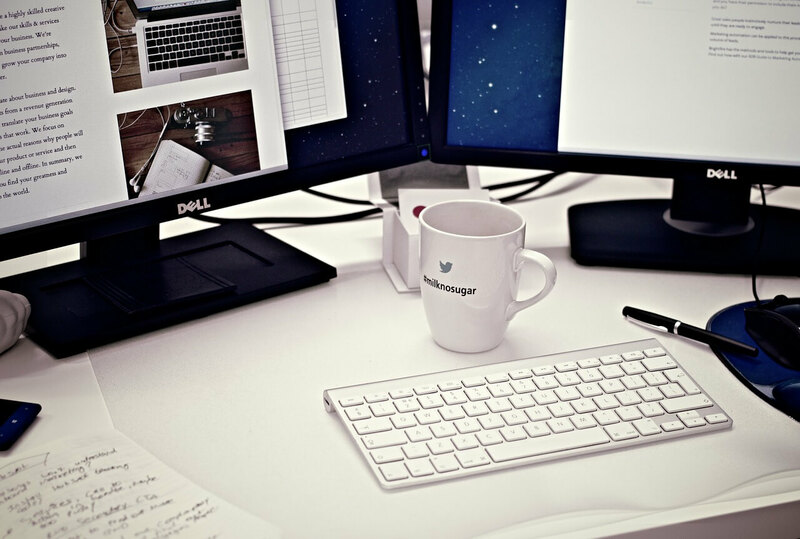 What do you do when it’s finally time to replace a well-loved piece of office equipment? Some businesses want something as close to the old as possible. Others see it as an opportunity to upgrade. In our experience, the upgrade which works best for the most customers has been the FLAVIA Creation 500 from Mars Drinks. We believe that that’s because it’s the best of both worlds. You’ll see a lot that’s familiar in the way you operate the Creation 500. It, too, brews great-tasting coffee fast. It, too, operates with little to no mess. And it, too, offers a wide range of Britain’s favourite hot drinks. At the same time, it’s an upgrade. The Creation 500 is a relatively new model, and it was designed by Mars Drinks in response to the market. All those little features that the Kenco Singles line was missing have been identified and added. You may not even have missed them – but once you have a FLAVIA 500, you’ll wonder how you managed without them. There’s plenty more to mention – more than you’d want to read at one time. So why not contact us? We’ll be happy to listen to what you need and discuss solutions. You can rest assured that if you’re one of those rare Singles workplaces that wouldn’t suit a Creation, we’ll recommend you the machine you should have. With over a quarter century of experience in the industry we’re confident we can help. As the winter months draw on – and it’s worth remembering that this year there’s a real chance that some parts of the UK will find themselves ‘dreaming of a White Easter’ – it’s not just about keeping your workplace warm. It’s even more important that your staff feel warm. Warm workers in winter are happy – and happy workers are motivated. Looking out of the window and seeing snow on the ground outside can persuade people they’re cold even when they’re inside and the heating’s running. What’s the solution? There are options – but the best known is obvious. Just as snow on the ground immediately makes many people feel cold, nothing more immediately restores that idea of warm than the image of hands wrapped around a steaming mug of something hot. Having a hot drinks machine onsite is one of the best options available for delivering that, warm, happy contented feeling to many colleagues at once. Many machines – the FLAVIA 500 is a perfect example – deliver coffees, teas, and more at speed, serving a wide range of Britain’s favourite brands. It’s a lot quicker than forming a queue at the kettle. Which model best suits your workplace? There are a lot of factors at play. We put together some questions to consider, but if you’re still unsure, get in touch. With over 25 years’ experience in the industry, we’re confident we can help. We’ll listen to your thoughts, ask some questions, and provide a recommendation. In fact, once you’re in touch with Nexus Drinks, we can take it from there and get you up and running fast. More and more offices up and down the land are seeing one or more of the team moving from traditional teas to fruit or herbal brews. Capsule machines like the FLAVIA and KLIX ranges even offer a selection of these non-standard teas alongside the better known brands. There’s no better measure for the rise in popularity of the drinks! So is it worth adding these teas to your breakroom selection? For anyone in your office trying to cut back on caffeine, switching a fruit tea or two into the rotation can give you the same keen refreshment without loading up the caffeine buzz. Most fruit teas are also high in Vitamin C. This makes them especially useful if you’re trying to avoid a cold or shrug off the last of the effects. That alone should make them worth stocking in your breakroom! There have been suggestions that fruit tea can help with weight loss. Their naturally sweet taste means you can cut down on sugar, too. They’re also packed with antioxidants, which reduce the ‘free radicals’ your body builds up. These free radicals make you more vulnerable to illness and poor health. The benefits of herbal teas vary from tea to tea, but typically include more antioxidants (without cutting caffeine). Hibiscus tea has been found to reduce blood pressure, too. There are many suggestions that herbal teas can help with weight loss, cold cures, and more, though little research has been done so far. Vending machines have come a long way since the first ones were developed back in the 1880s. The hot drinks that we mostly associate the concept with couldn’t be safely automated back then – and means of payment, variety in what’s offered, and ease of use have all improved radically since then. 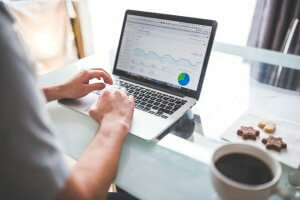 Arguably the biggest change, though, is that a reduced size means that vending machines and other hot drinks machines have entered the workplace, rather than being limited to railway stations and larger stores as a novelty. It’s this commonplace setting where these machines really thrive, and which has made them part of people’s everyday lives. Today, vending machines are more popular than ever before, and seen in more and more places. Some, like the KLIX range, offer a choice of cashless, coin, and proprietary KLIXKEY operation, giving the premises they’re installed in incredible flexibility in how they’re used. 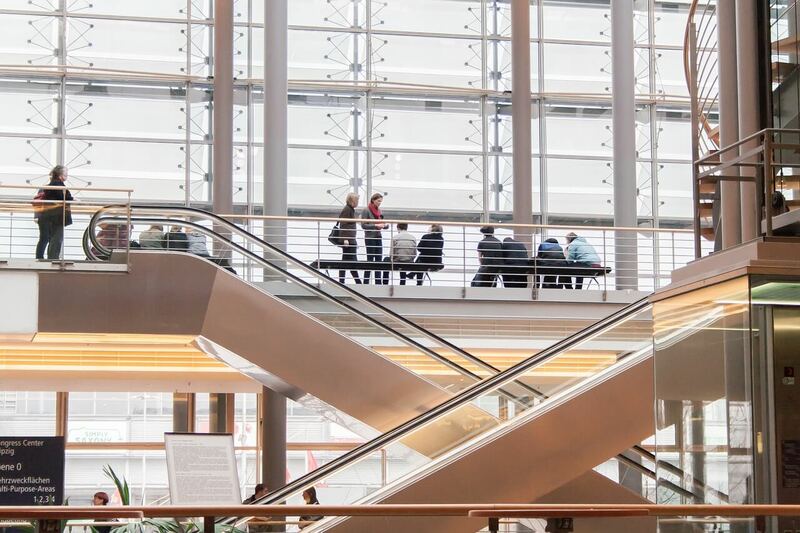 If your place of work doesn’t have one, perhaps it’s time you asked why not? Nexus Drinks can supply you with what you need after a quick consultation; just get in touch and we’ll be more than happy to help you. 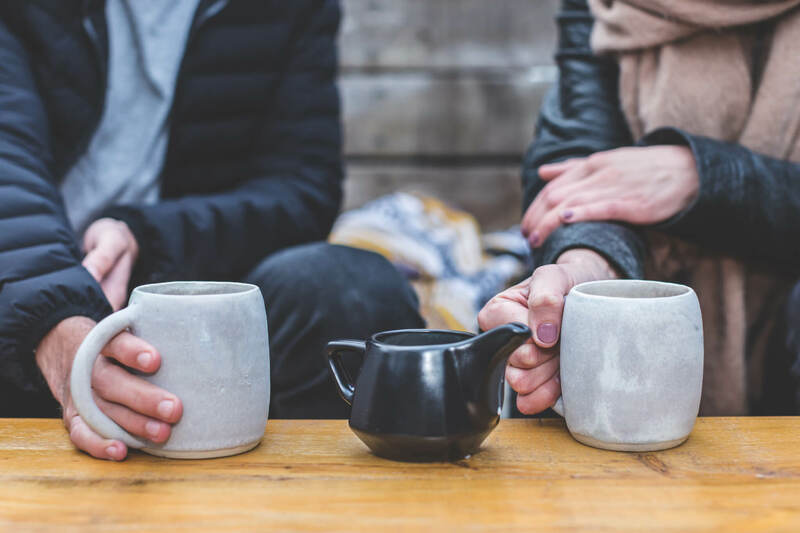 We’re still sorting through the research here at the Nexus Drinks offices, but there’ve been a whole flurry of studies on coffee recently – so we thought we’d look through them and give you a quick report on the benefits Nexus Drinks can offer your workforce. 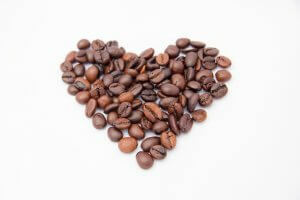 Long-term studies show that coffee drinkers are less likely to develop Type 2 Diabetes. The results of this research came as a slight surprise to the team that carried it out, but reduced blood sugar and insulin levels cut down key risk factors. Please note – once you have Type 2 Diabetes, coffee isn’t a cure-all on its own. 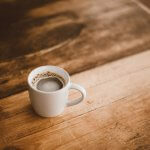 Studies from Cambridge, Edinburgh, and Southampton have all recently linked coffee to preventing liver cancer – or purely to extending your life; the Cambridge study suggests that your risk of dying early is 12% lower at one coffee a day and 18% lower at three. Cambridge Professor Sir David Spiegelhalter translates that to around 9 minutes of extra life per cup of coffee on average. 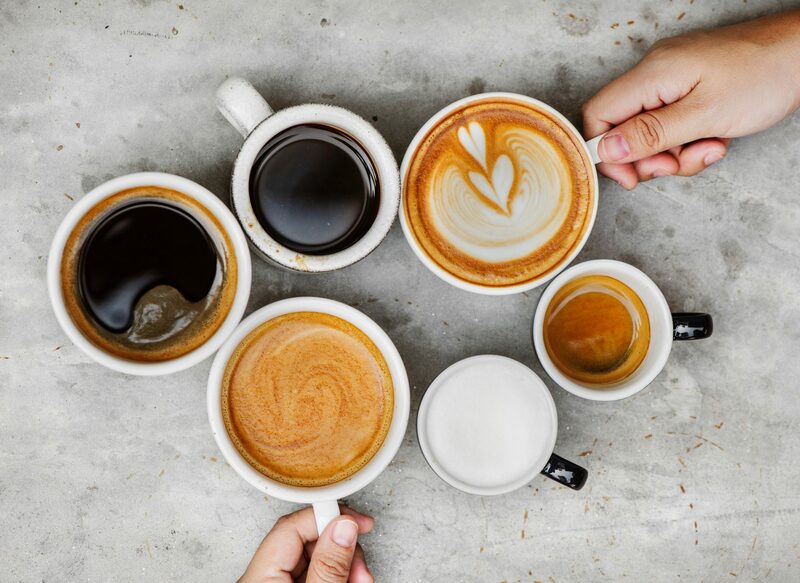 A recent summary at authoritynutrition.com sums it up: There are a baker’s dozen of under-recognised health benefits emerging from research into coffee drinking, from reducing the risk of Parkinson’s and cirrhosis to making some cancers less likely. Not only that, but in a typical Western diet your coffee is your biggest and best source of antioxidants – so as well as long-term preservation of life and quality of life, you’re getting a heap of smaller benefits to each day, which all adds up.